Discussion in 'Firearms' started by 11C1P, Jan 11, 2019. Took forever me to get the slide I wanted without paying a ton.. Messed around with one seller on ebay for about a month, finally gave up & then after Christmas found a new guy selling slides & he was great to work with. Matched the color perfect & even did the bull nose for no extra cost. The pics don't show the colors that great, but I think you can tell they match very well. The stainless thread protector will either get swapped out for a black one or I'll get a cerakoted one as well. Not sure about the barrel, maybe leave it but I would like the chamber exterior area to be subdued, so haven't made up my mind 100% what to do. The first round I fed in was a FTF then a FTE but then I cycled (by hand) most of a mag through no problem. Trigger is HEAVY & has a ton of creep, but that can get fixed fairly easy too. Mags won't drop free, but that's the frame, cause there's nothing I work on in the mag well to screw up. They pull out quite easy, just won't drop free. Not sure when I'll get to test fire, but I feel pretty confident it will function. Might need a bit longer of a break in period than normal though. In the end I've got right about $440 in it. That's with no case or magazines of course. But it does have a threaded barrel! Glock Holiday, 08H3, doulos and 24 others like this. The milling (or whatever) was pretty straightforward? Lee C., Jonah L. Archer, Cwlongshot and 3 others like this. Jonah L. Archer, 11C1P and x39 like this. Love that thread protector. I've only seen knurled ones. What does the extra pin do? I'm guessing something to do with an 80% frame? Let us know how she runs. HEMLOCK79, Jonah L. Archer and 11C1P like this. It holds the locking block in place. Wasp and Jonah L. Archer like this. Jonah L. Archer and 11C1P like this. Honestly you don't really need to mill anything. You drill your holes, then shave off a few tabs, drill out one small section inside the frame where the slide spring/guide rod sit & that's about it for "machining". 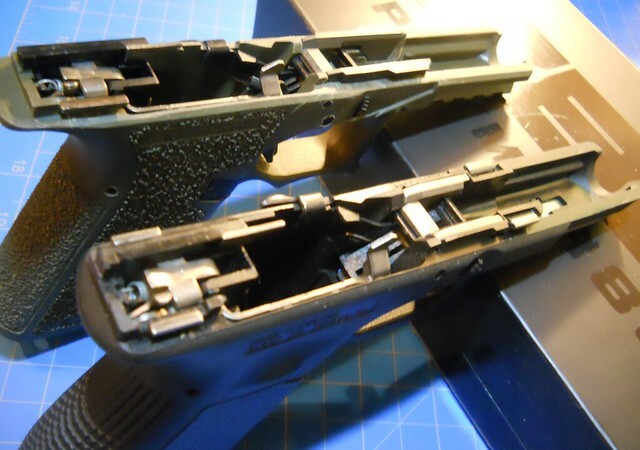 Other than drilling the pin holes, you really don't even need the jig, cause it's pretty obvious, especially if you have another Glock to compare it to, which tabs need to be shaved down. Shave them down till your level, or very near level with the rest of the frame, then just sand it smooth. I also used a bit of rubbing compound to make it extra smooth. RavenLoon, Gumbi, Jonah L. Archer and 4 others like this. When I get a chance, I'll take a few side by side pics of my EDC glock & the one I just built. 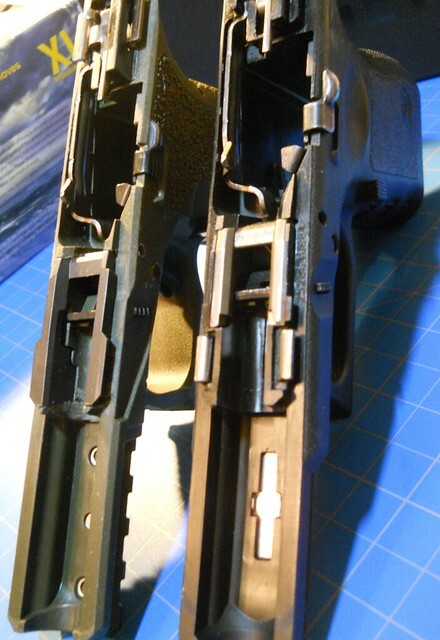 The metal areas that are formed into the frame in the factory Glocks, aren't in the 80% frame, so you have to add them back in with a few modified parts as compared to a factory one. Cwlongshot, drobs, Jonah L. Archer and 3 others like this. I wish they would come out with the large frame version.. They are I thought according to a guy I know who has built some . Said a 43 model was coming out also . Jonah L. Archer and Cwlongshot like this. Here we need a “pre ban” frame for mech tech. So Im golden but my slide for the G20 sits I would like to make it whole again. 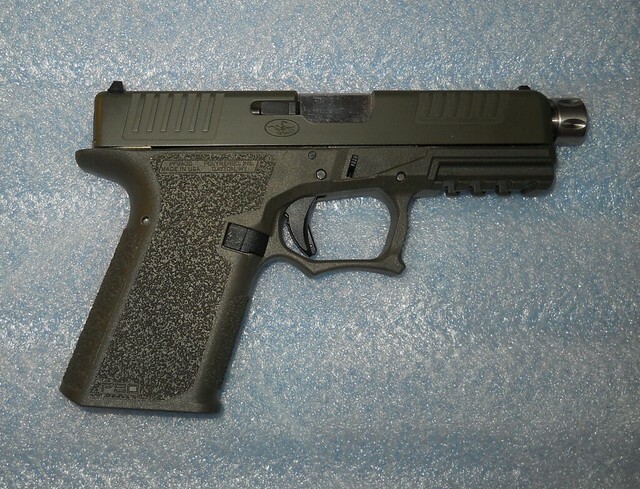 I bought a G21 so I can shoot it but the ejector is enough different that it pounds my valueable 10MM brass. (Functions 100%) PLUS the fact that the G21 is a laser!! I have watxhed for a G20 Frame alone but ones I have found where very close to what I could buy complete gun for!! Medic17, drobs, 11C1P and 1 other person like this. BTW I broke Messenger!! My CF rods came in!!! Sweet! I picked up a gen4 21 recently...didn't want to wait anymore! The 80's didn't have quite enough of a beavertail for me; I added a grip force adapter to the 19 and 26 80. So I got a few pics & found a couple online of an 80% still unfinished that will show what requires removing from the 80% frame. Here the areas indicated in orange (on each side) must be removed down to the frame, but the areas indicated in green need to stay in place. This another shot showing the guide rod/spring channel that has a section that needs to either be drilled or sanded out. The kits come with an endmill style drill bit you can use, or you can just use a dremel to remove it. 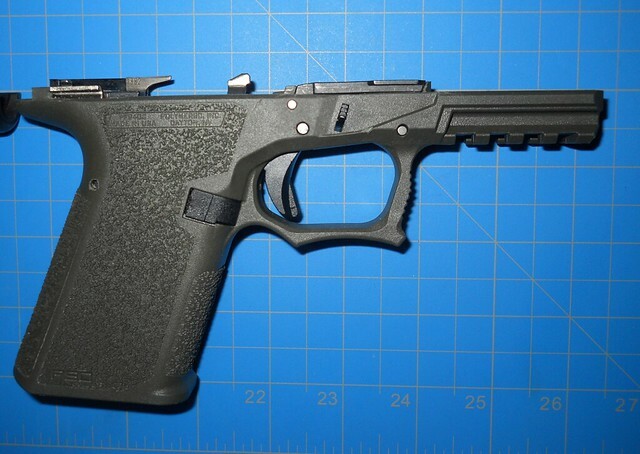 Here's a factory Glock frame, followed by the finished 80% frame. A few side by side comparisons. Medic17, NoBrakesRacing, PAcanis and 4 others like this. So it requires its own locking block in order to get the slide rails. Does that come with the frame, or is there a separate manufacturer for those? Cwlongshot, Gumbi and 11C1P like this. It comes with the frame. 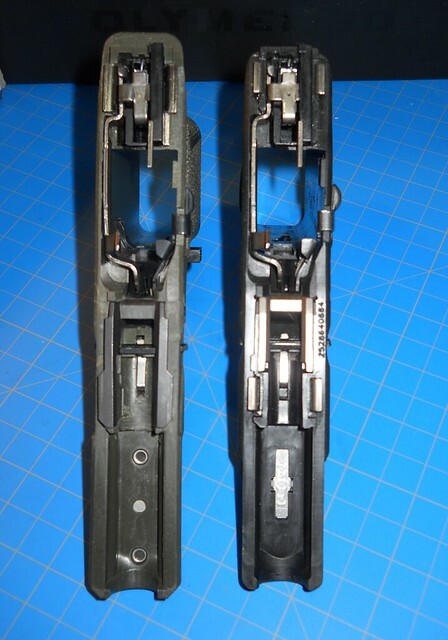 The nice thing is that the frame rails are replaceable and not molded into the frame like the Glocks are. 80's are easy to do. They come with a jig and the drill bits you need (2 holes for the 26 size, 3 for the other sizes), the locking block, rear frame rails and most of the pins. Glock completion kits are available online, but I found I got a used Glock 26 for $400 instead of $450+ for an online parts kit. Plus I can sell the Glock 26 factory frame and locking block and recoup some of that expenditure. I went with factory parts, but changed out the trigger shoe itself with a flat faced trigger from Suarez Tactical for $40. I did a fluff and buff on the disconnector and trigger bar and they shoot really well. I did get a Gen 4 ejector to try in the Gen 3 trigger housing on mine due to erratic ejection on both pistols to see if that solves the issue. The 80's have a different grip shape/feel than the factory frames do, but their beavertail is still a touch small for me, so I installed grip force adapter beavertails after modifying them to fit with a Dremel. Cwlongshot, Gumbi, 11C1P and 1 other person like this. Thanks. Looks like a nice project. I've got access to a machine shop and it looks to be no different in cost over just buying a new handgun. Cwlongshot and 11C1P like this. Nice coincidence, was just looking at 80% AR receivers this morning. Do you have a jig yet? I know they are taking pre-orders, with a mid April date for expected release date, is there somewhere that has them in stock now? I don't know where you can find a new Glock for less than $440, but one of the nice things about building one is, if you can't afford to buy a new gun outright, you can buy the parts for a build as you can afford them. Kind of a pay as you go plan, but no finance charge or interest to pay. 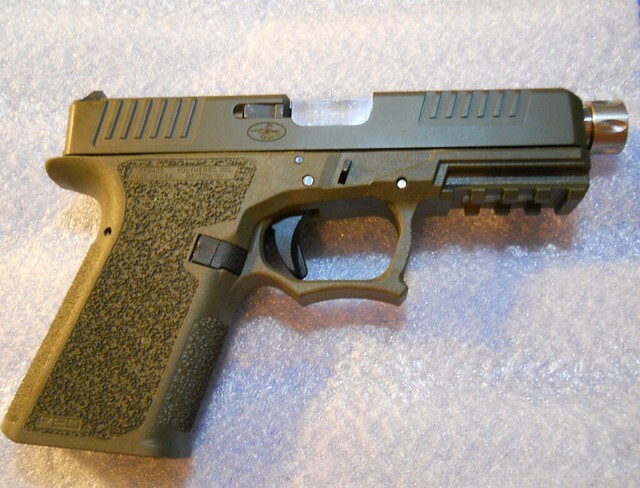 The single biggest cost being the slide, which you can find a plain jane 23 slide for about $170 where as a slide for, as well as many of the parts for, a 9mm specific builds are cheaper still. If I had gone for absolute cheapest possible 40 cal build, I could have done this one for about $410. Also if you know what aftermarket parts you want to use, you can just go ahead and buy those to start with & you don't have to pay for parts you aren't planning on using to begin with like you would when you buy a factory OEM pistol. You can also get all of this sent directly to your house with no FFL to go through & pay a transfer fee if you were to buy online. Then there is just the satisfaction of building your own firearms which I'm sure will vary person to person. One thing, which I think is arguably the most important aspect of building your own gun is that you learn a lot about your firearm you've built it yourself, which can come in handy down the road if you need to work on your own, or one owned by a friend or family member. Also some people just like the idea of not having a serial number that dotgov can trace to you. Lastly, if you don't see any reason to build one yourself, no one is forcing you to. Park Swan, dannyp and Gumbi like this. I thought you meant for an AR. It comes with it. When you buy the frame/jig pkg, they come with the locking block, rear rail module & all the drill bits you'll need to finish the lower. Yeah, I'm more of a 1911 guy. 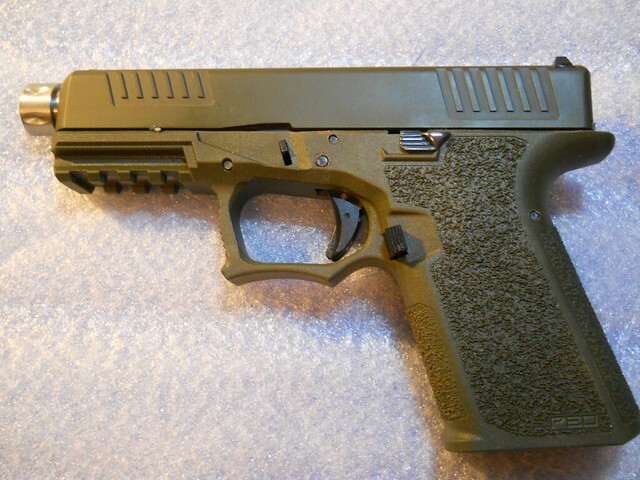 But I did just buy a long slide and barrel for my G19. No fitting required, but it did need broken in (about three mags worth) to get the gun running reliably. I guess to mate things. Trigger pull was a hair heavier, too, but that was cured with a different striker/firing pin safety spring and a different trigger spring. Geometry must have been just a hair different. For comparison, but I haven't bought parts in 2-3 years, good parts for a 1911 will run about 8-900 bucks not counting the slide and frame and with 15% off dealer pricing at Brownells. But it's worth it if you like a nice project. 11C1P and Cwlongshot like this. Midwayusa carries Polymer80 and they go on sale for $75. I built a compact G19 before the California deadline, just because there was a deadline, but I don't have a need or use for it. 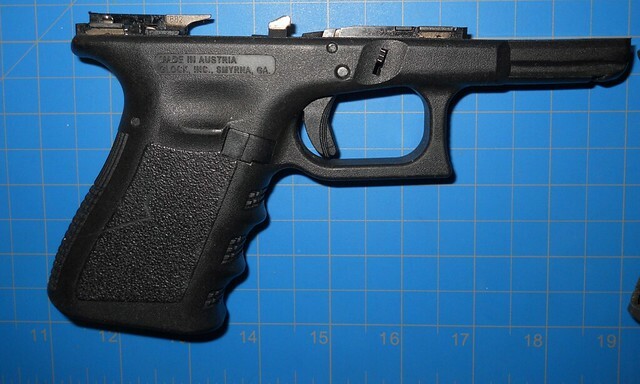 A new complete G19 would be slightly less using Glock parts. I wouldn't do it again and I don't recommend it. Just buy the complete gun, and you guys outside of California have a lot more options than we do. We can only buy a Gen 3, you guys can get the newest models so why spend on the polymer80?? I actually do recommend it, for many of the reasons I already mentioned above. I didn't build this with the intention of saving money over a new gun either, but I did. Like I also said before, I've got right about $440 into this one, I could've saved a bit on a cheaper slide & a few bucks on different sights to get it lower, but this was the slide I wanted. I can't find a new Glock 23 anywhere for under $500 & that's without the FFL transfer fee which for the guy I normally use would be another $20. So if my math is correct $520 new G23 Vs. $440 80% build G23 is an $80 savings over the new factory one. Even if it had been $80 more than a new one, I still would have built it & encourage others to give it a try as well. scottman and Cwlongshot like this. Cwlongshot, Coyotesilencer and 11C1P like this. I did, here's the link for it. Edit: I agree @11C1P , with all of the reasons to build a 80%. I like tinkering and knowing I can build one. Can also spread my cost over a long time and save money, specially on any subsequent builds. I see. I don't know how well those work. I've had 100% polymer AR lowers with the bronze inserts for the buffer tube, pistol grip screw etc. & those are so-so. I ordered a few of them, put together 2 of the them, one I finished with a 22LR kit for my girls, they were a PITA to put together the tolerances were so tight & I was afraid giving it too much power would crack or chip something. I definitely won't be ordering any more & would really be hesitant to use a 80% poly kit for an AR. I have the 5D Tactical router jig-pro & that works very nice. Also got the plates so I can make AR-10/308 lowers on it, but haven't started that project yet. I still need to do more research before purchasing. Liked the cost of these but not in any hurry. The 80% kits don't appeal to me at all. I fully support the idea of them though. scottman, Cwlongshot and 11C1P like this. 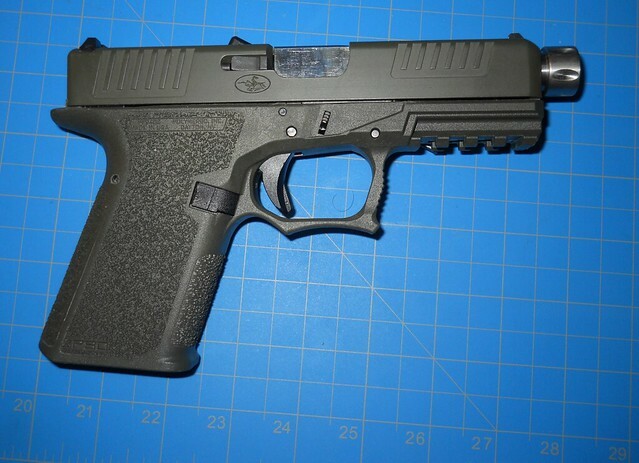 Found an article about building an 80% Glock. I'd say get yours sooner rather than later, cause I'm betting there will be a 2020 panic for the upcoming election, then depending on how that goes, you might not be able to get them at all. Do you have a link to the $75 ones? I don't think I've ever seen them under $120, at least before any discount codes. If I could get them for $75 each, I could still build them for less than a new one, just as I did my first one. 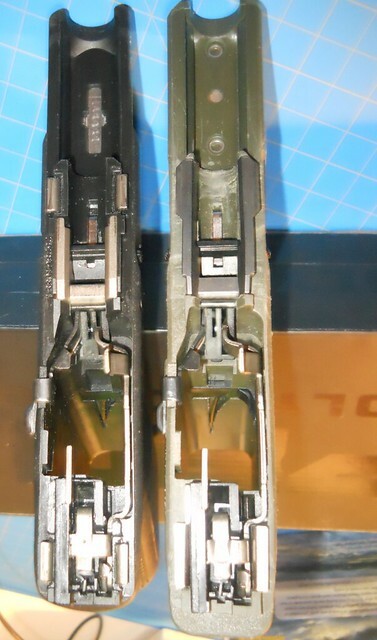 Anyone have a link to used Glock parts kits for a decent price? I can't remember where I saw used Glock 22 kits for $250. The looked like pretty used police trade ins. I haven't seen kits being sold minus the frame like that but I'll keep an eye out. 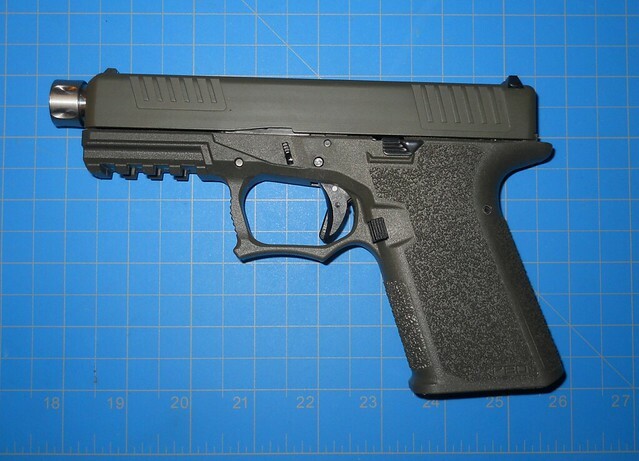 A g22 kit for 250 would probably push me over the edge into doing one of these p80s. Especially since the frames are always going on sale for <$100. Yeah the cheapest that I routinely found was $300 for a G22 Kit. That includes all needed Upper / Lower parts minus the 80% Kit. 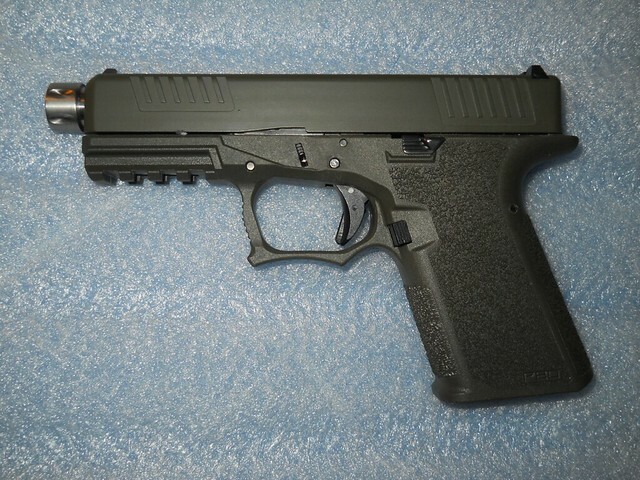 @Medic17 that seems pricey considering you can buy used police g22s for around 300 total cost. Medic17 and Cwlongshot like this. I would agree but the build itself is somewhat intriguing and may be worth the upcharge for the novelty. I agree, what I mean is that you ciukd theoretically still build the p80 and sell the g22 frame for cheaper or even less than buying without the frame if it's $300 or more. 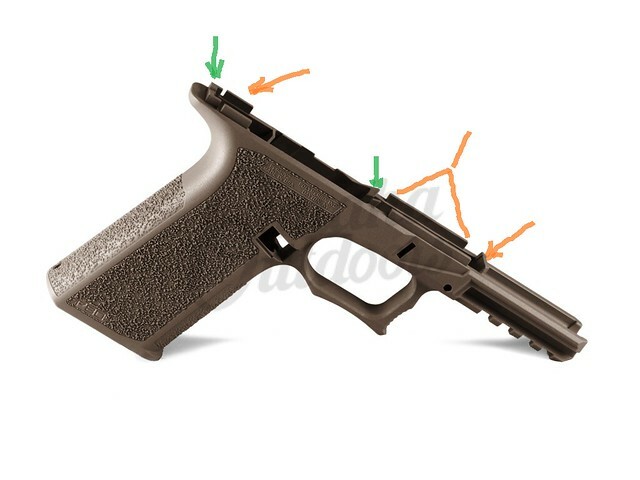 Personally I'm interested in the p80 because of the (IMO) improved grip angle. Whatever way is cheapest.. looks like going used is the cheapest route for the slide and internals. Maybe I should check out the pawn shops when I have time to see how cheap you can actually snag a used Glock. I agree, no finger grooves and "Glock Hump" is a good reintroduction on a awesomely designed pistol.